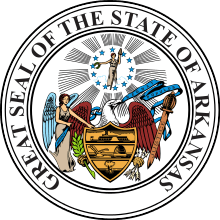 The Arkansas gubernatorial election of 1982 was the second since Reconstruction in which an incumbent was defeated. Coincidentally, the first had been the preceding election. 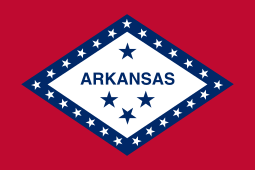 One-term Democratic Governor of Arkansas Bill Clinton regained the position after having narrowly been defeated by Republican Frank D. White at the previous election. Clinton continued to serve until shortly after he was elected President of the United States in 1992. Bill Clinton, one of the youngest ex-governors in the nation, at the age of 36, was running to reclaim his political career. Frank White easily won renomination from the Republican party. White was hurt politically due to several unpopular decisions that he made, and Clinton ran an aggressive campaign. 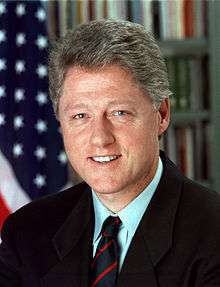 Bill Clinton, who was defeated in the last election, won the election, and elected again in 1984, 1986, and 1990, until his presidential victory in November 1992. ↑ Dillard, Tom W. "Frank Durward White (1933–2003)". The Encyclopedia of Arkansas History and Culture. Retrieved October 29, 2016. ↑ "1982 Arkansas Elections" (PDF). 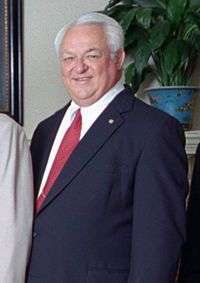 Arkansas Secretary of State. May 1983. Retrieved October 29, 2016.